Augsburg Faculty and Staff, you are invited to attend the fall vocation lunch with “Tina” Maria Tavera, TRIO-McNair Scholars Director. Maria Cristina (“Tina”) Tavera has been the director of Augsburg’s TRIO-McNair Scholars program since March 2008. Funded by the Department of Education, the McNair Scholars program helps income-eligible, first generation, and underrepresented students prepare for and matriculate to graduate school. Prior to her director role, Tavera was an Academic Advisor for Augsburg’s TRIO-Student Support Services program for four years, and has been working for and devoted to TRIO students for over 20 years. Tavera is an artist, independent curator, and activist who has exhibited at Augsburg; she is also one of the artists selected to create a public art piece for the Hagfors Center for Science, Business and Religion. She sees parallels between her artistic efforts to decrease cultural alienation and expand society’s artistic vision and her passion for equal access to education. 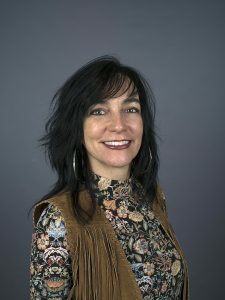 Her vocation is greatly influenced by her transnational upbringing between Minnesota and Mexico, as her scholarly research specialization is in Latino and Latin American art.